THE UNIVERSE IS NOT MADE OF ATOMS! Are you ready to release your money story from LIMITATION? The ever perpetuated complex of LACK? Are you ready to start living and manifesting in the Sovereign Paradigm of true freedom? 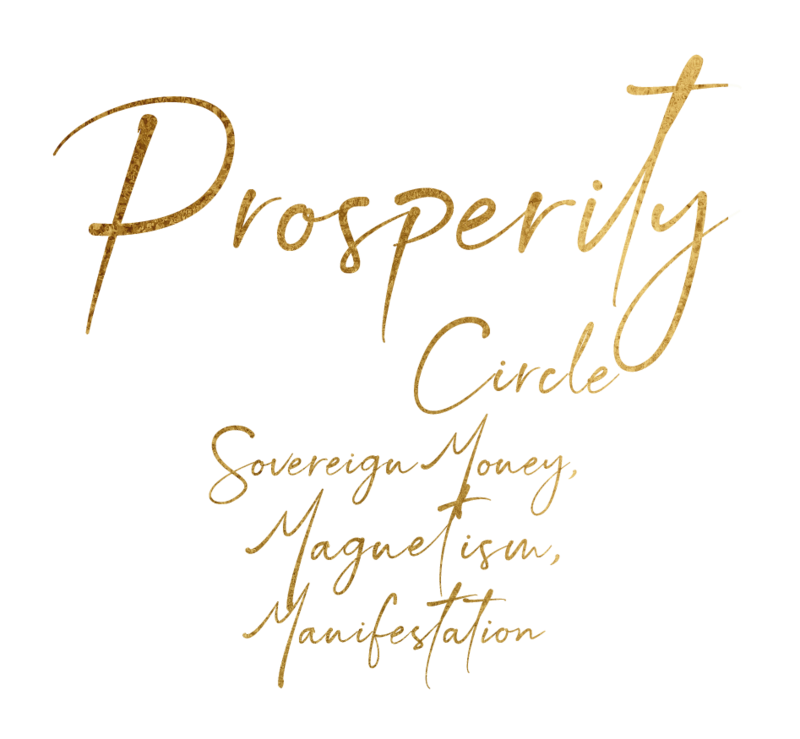 Join me in our upcoming Prosperity Circle where we go thru an intensive experience of releasing the old while calibrating and energizing your Sovereign Money Story. 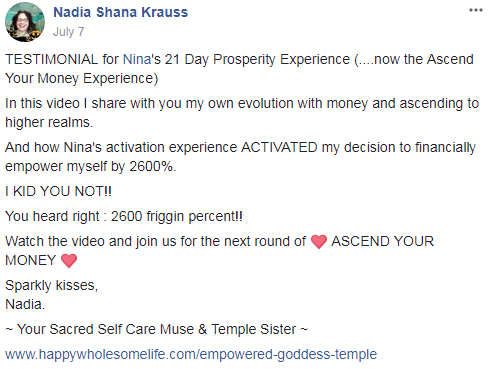 Since 2016, I’ve been running prosperity circles with the use of ascension activations, powerful mindset processes, and manifestation/femifestation techniques. This circle is designed to help you melt down the old complex of inferiority, lack, and limiting energy entrapment. So that you can consciously connect to your sovereign reality of prosperity, winning in life, and creating on your terms. The lineage of this teaching has yielded over $20m worth of investments. This circle includes 8 powerful calls. Early invitation is open thru Saturday, April 20th. You’ll receive access to all 5 group calls, community, and workbook plus one VIP session with Nina where we review your Genius human design which will open up gates of flow and possibility for you. Due to using sacred energies, all sales are final.